Wing-walking was the practice of getting out of the cockpit of a biplane (while someone else was flying the thing) and staggering along the wing holding onto struts or wires. It was a thrill show for onlookers at air shows and barnstorming events in the 1920s and 1930s in the U.S. In a previous post, I claimed that there is a bias in public policy debates toward doing something, rather than nothing, even if doing nothing might be the right thing to do. But I also promised in a future post—this one!—to say more on the matter. The gist of my earlier post is that people in the liberty movement often lose arguments by simply denying that there is a problem, or by claiming—which amounts to the same thing—that the proposed solution won’t work, and therefore “we” should do nothing. Since libertarians often want the state to do nothing (though the “Right Kind of Nothing,” to be sure! ), this seems facile. Isn’t the real problem not inequality, but poverty? Rather than taking envy, which is a sin, and trying to raise it to the status of a virtue by calling it social justice, why don’t we try to help poor people? Furthermore, if the poor in the U.S. have it so rough, why do genuinely poor people from the rest of the world want so desperately to come to the U.S. and be poor here instead of being poor where they are? As you can imagine, hilarity ensues. Still, I actually agree that poverty is a problem. The best cure for poverty is a job, however. If I can get my conversational partner to agree on that, we have a place to start. The most difficult thing (and I may step on some toes here, so let me apologize in advance) for proponents of libertarian ideas is the propensity to dismiss all candidates for office, on the grounds that they want to run for office. Just the fact that a person is a candidate must mean that the person is evil, or power-hungry, or perhaps just naive. I understand the sentiment, believe me. When I was running for Governor of North Carolina in 2008, I often found “supporters” who were extremely critical of the fact that I was running, or that I had adopted platforms that might tend to attract votes. The most contentious element of my platform was education vouchers, which I saw as a means of reducing state involvement in education. Right now, the state uses taxes to finance education, and then generally takes those taxes and in addition imposes monopoly state provision of education through public schools. Rather than change everything at once, we could at least break the monopoly on provision, and allow parents to make choices with what is, after all, their own money. But this was outrageous, in the view of many of my supporters. The fact that the state was involved at all meant that the policy was unacceptable. Yet many voters, persuadable voters who might vote for me, found the proposal intriguing enough to contact me for more information. They recognized enough of the proposal (state funding) to be willing to consider letting go of something (monopoly state provision). 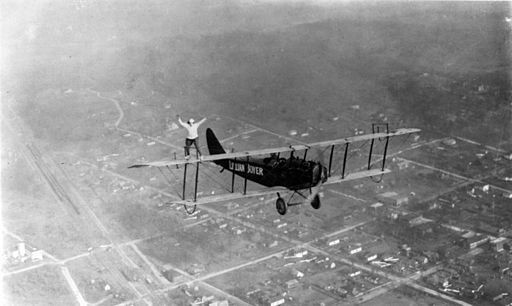 Wing-walkers don’t want to let go all at once. A most wretched custom, assuredly, is our electioneering and scrambling for office. Concerning this also we find a fine thought in Plato: “Those who compete against one another,” he says, “to see which of two candidates shall administer the government, are like sailors quarrelling as to which one of them shall do the steering.” And he likewise lays down the rule that we should regard only those as adversaries who take up arms against the state, not those who strive to have the government administered according to their convictions. There’s quite a bit in that one little passage. For one thing, it’s heartening in a way that people were disgusted by the behavior of politicians in 44 B.C.E. But maybe that’s actually sad, because we are still beset by the same basic problems today. Sailors quarreling over who shall steer assumes that there is a ship, and that it can be steered. You might want to question those claims, but the fact remains that some sailors, and some directions, are better than others given our current system. Abdication to avoid complicity is simply shirking; you can’t let go until you actually can grab something better. Wingwalkers can’t be too picky. There is also the definition of “adversaries.” I see so many people who consider themselves libertarians spending all their time fighting with other libertarians. To any outsider, the differences over which we fight seem not just inconsequential, but invisible. Yet to “us” these tiny points of doctrine become the very fulcrum of the faith. The problem is that if we spend all our time burning heretics, there won’t be many of us left to take on the infidels, the people we actually disagree with. People are scared. Voters are looking for a new alternative, but whenever we offer them the libertarian alternative they invoke, whether they know it or not, the first rule of wing-walking. They are reluctant to let go of the “solutions” they are used to, of detaching themselves from the hoary terms of debate in which they are used to thinking. When we say that those solutions don’t work, that doesn’t offer an alternative that they can imagine, even if we are right. No one is going to let go of the familiar policy debates without something solid to grab onto instead. In times when people are afraid of terrorism, of losing their jobs, and of the kind of life their children will inherit, we need to offer an actual alternative. We’ve been telling people, “Just let go! You won’t fall!” That isn’t working very well.